Some services you create may include processing time, in which a customer is still in your salon but doesn't need a staff member's attention. With Shedul, you can use the processing time feature to allow staff to take on more appointments during this treatment development time. You may want to build processing time into your appointments when your service requires some development time. 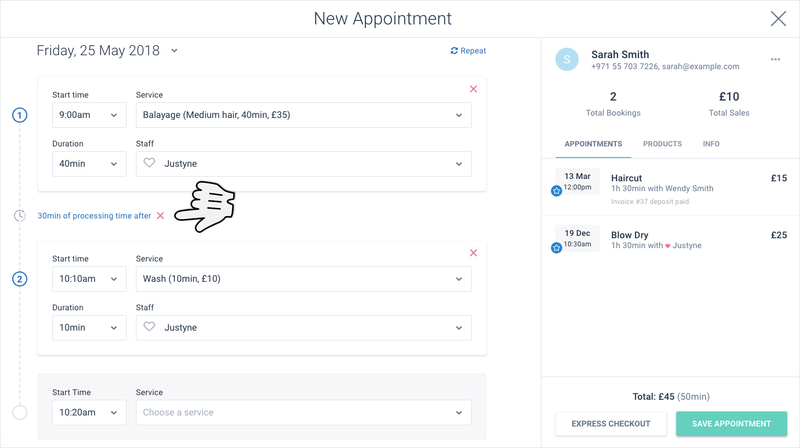 For example, if your customer has a facial mask that takes 30 minutes to dry, you can use the processing time feature to free up staff to see other clients while the treatment is processing. 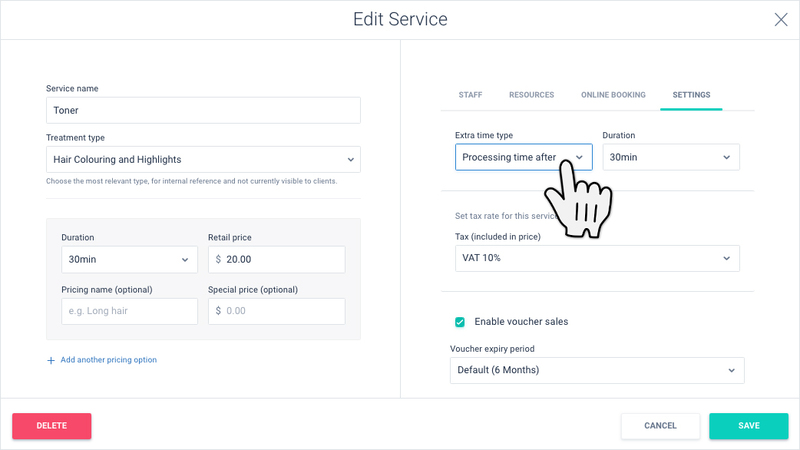 Clients will be aware that their service duration is the total of the service and the processing time combined; however, the calendar will only block the application time, keeping the processing time clear for other bookings (including online bookings). Processing time is a great way to optimize your calendar for more bookings. 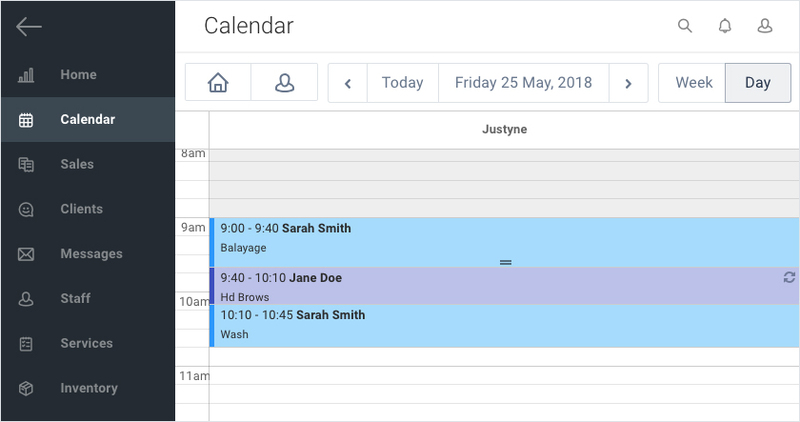 Should your service require pre-built-in block time between appointments, where you need to tidy the room or rest, you can apply "block time" as your extra time type rather than "processing time". This will block any client from booking with you during this period but this duration will not be built into the clients appointment time. For example, the client's appointment is 45 minutes but you build in 15 minutes block time. The client will still be informed that their appointment is 45 minutes long but your calendar is will be blocked out for 60 minutes.